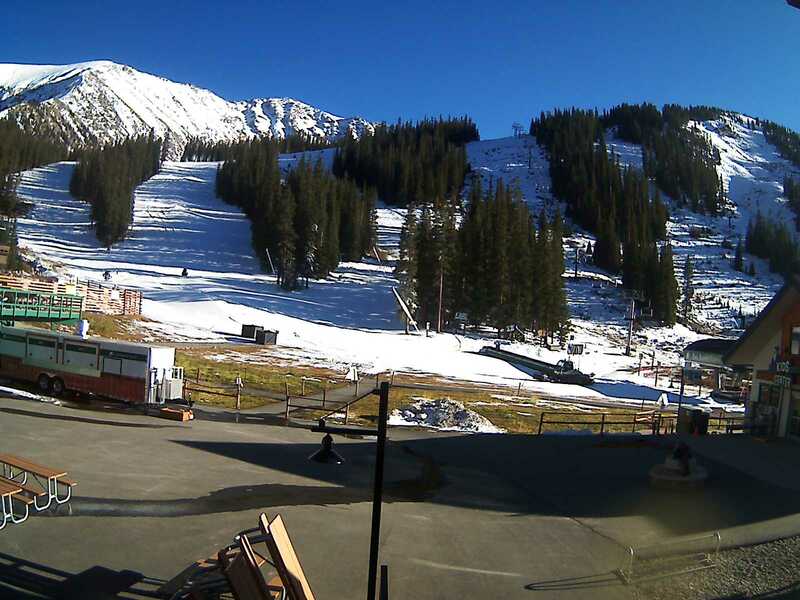 Arapahoe Basin, CO – Colorado’s Arapahoe Basin Ski Area will open for the 2017-18 ski and snowboard season this Friday, October 13. The Black Mountain Express lift will start turning at 9 a.m., giving skiers and snowboarders access to the intermediate High Noon trail. Arapahoe Basin is often one of the first ski areas to open in North America, although this past Saturday Timberline Ski Area on Oregon’s Mount Hood opened its permanent Palmer Snowfield to skiers and riders on weekends only. 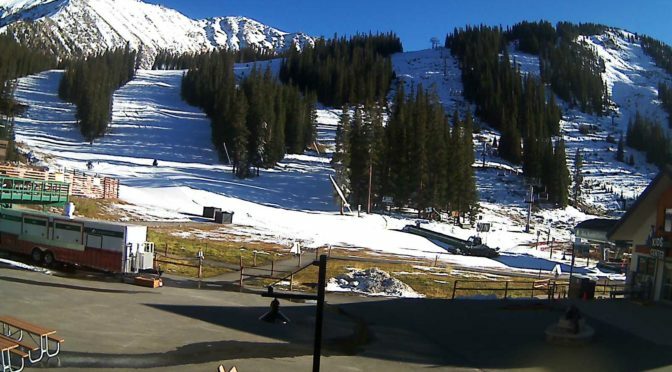 Nearby Loveland Ski Area has also been hard at work making snow around the clock, but has yet to announce an opening date. Skiers heading to A-Basin this weekend can get the best deal on early season lift tickets by purchasing online, in advance at tickets.arapahoebasin.com. Tickets can also be purchased at the mountain. Current lift ticket window pricing will run through December 15, 2017, with adult (ages 19-69) full-day tickets priced at $79, youth (ages 15-18) window tickets priced at $67 and child (ages 6-14) window tickets priced at $39. Children age 5 and under ski free every day of the season. Skier services available starting opening day include ski and board rentals (8 a.m. to 4:30 p.m.) at the Kids Center (for both kids and adults) and retail sales at Arapahoe Sports (8 a.m. to 5 p.m.). Snowsports value season private lessons will also be available starting opening day. Dining options at the mountain will include: breakfast at Legends Café from 7:30 a.m. to 10:30 a.m.; full lunch and après service in the 6th Alley Bar & Grill starting at 10:30 a.m.; lunch service at Black Mountain Lodge (mid-mountain) starting at 10:30 a.m. A-Basin Mug Club sales start opening day at 8 a.m. in Marnie’s Bar on the 2nd floor of the A-Frame; mugs are $45 and entitle the owner to beverage discounts in the 6th Alley Bar & Grill and a free beer to kick off the season. Mugs are sold on a first-come, first-served basis; limit one mug per customer and purchasers must be 21 years of age.